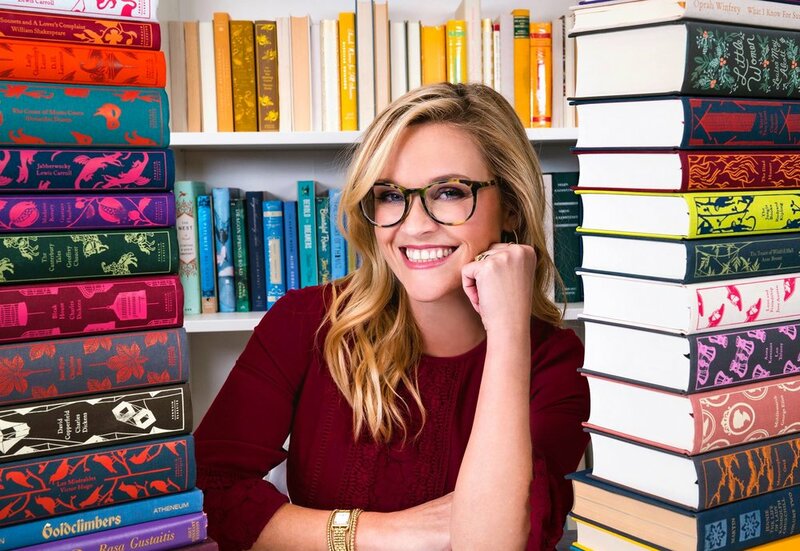 Reese Witherspoon is a bookworm. For years she’s recommended reads via her Instagram page, and from that she created her Reese’s Book Club. With monthly reading picks, colourful bookish images, plenty of lovely pics of Reese curling up with the same book you’re reading, and a real community #ForTheLoveOfStory feel, this book club is a treat for the senses and soul. Let’s talk a little about the business mogul that is Reese Witherspoon. You know she’s a talented actress. You might also know she’s a producer, thanks to the fantastic Big Little Lies that aired on TV earlier this year. Did you know she was also an entrepreneur? She founded Draper James, a lifestyle brand with fashion and home décor. She owns a production company called Pacific Standard, which was built to create more roles for women on camera and behind the scenes (Pacific Standard is responsible for Gone Girl, Wild, Big Little Lies). And last year she launched Hello Sunshine, a film, TV and digital venture that focuses on female-driven content. I’d REALLY encourage you to read Reese’s recent article for Glamour magazine, ‘We Have to Change the Idea That a Woman With Ambition Is Only Out for Herself’. It goes into more depth not only about her companies but about the world around us, the media today, and poses the question: what would happen if we encouraged all women to be a little more ambitious? The November book club pick was revealed yesterday! Buy This Is The Story Of A Happy Marriage here. And good news – Reese will be using Hello Sunshine to adapt Eleanor Oliphant Is Completely Fine for the screen sometime soon! Buy The Rules of Magic here. Buy Little Fires Everywhere here. Buy The Lying Game here. Buy The Alice Network here. Buy The Woman In Cabin 10 here. Buy Truly Madly Guilty here. Buy Murder on the Orient Express here. Have you read any of these? Might you go and pick any of them up now? Let us know in the comments! Follow Reese's Book Club on Instagram and Facebook.